April Fools’ Day or April Fool’s Day is an annual (primarily) Western celebration commemorated on April 1 by playing practical jokes and spreading hoaxes. The jokes and their victims are called April fools. People playing April Fool jokes often expose their prank by shouting “April fool(s)” at the unfortunate victim(s). 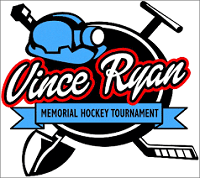 The 30th Anniversary of the Vince Ryan Memorial Hockey Tournament will be held March 21st through 24th, 2019. This tournament is one of the largest recreational adult hockey tournaments in the world. Every year over 160 teams from across Canada and the United States gather, bringing thousands of players to 10 rinks across the Cape Breton Regional Municipality (CBRM) in Nova Scotia. Proactively seeing the need for the development of female hockey programs in Nova Scotia, the tournament organizers launched what has become a successful female division for women 19 and over in 1999. More than 200 volunteers devote thousands of hours to make sure each and every participant enjoys their time to the fullest. 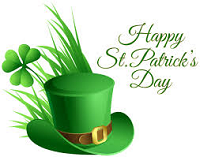 Saint Patrick’s Day, (March 17) patron saint of Ireland. Born in Roman Britain in the late 4th century, he was kidnapped at the age of 16 and taken to Ireland as a slave. He escaped but returned about 432 to convert the Irish to Christianity. By the time of his death on March 17, 461, he had established monasteries, churches, and schools. Many legends grew up around him—for example, that he drove the snakes out of Ireland and used the shamrock to explain the Trinity. Ireland came to celebrate his day with religious services and feasts.